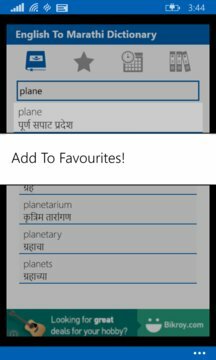 The primary languages for this app is english and marathi. 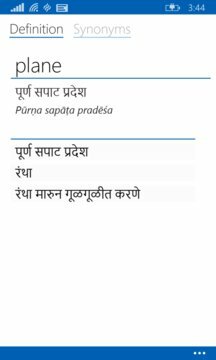 NerdCats English To Marathi Dictionary contains 48000+ word definitions along with synonyms. Pick your favourite words, get words of the day and browse recently visited words too! Search over english and marathi words to enrich your vocabulary!